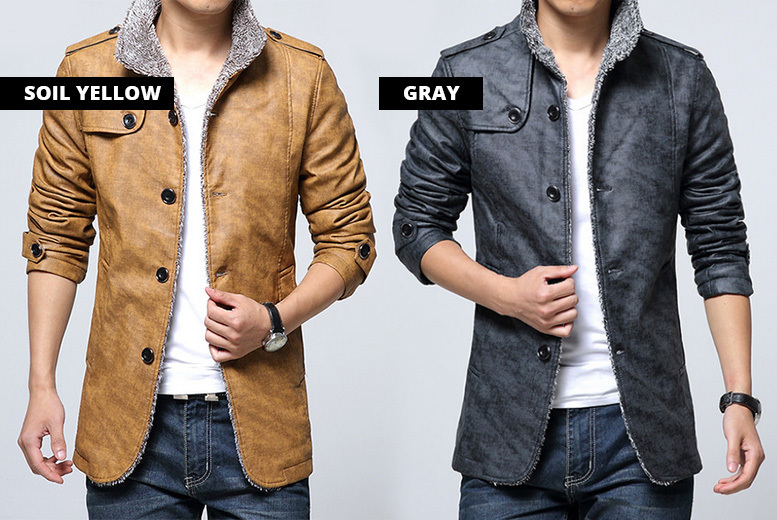 Get a supremely-comfortable faux leather jacket. Smart slim-fit design with stand up collar, dark button detailing and contrast fabric lining. Available in tan, grey, black, coffee or yellow soil. Your choice of men’s sizing from XL to 4XL. Perfect on-trend Autumnwear for work or play. Welcome in the colder weather with style.